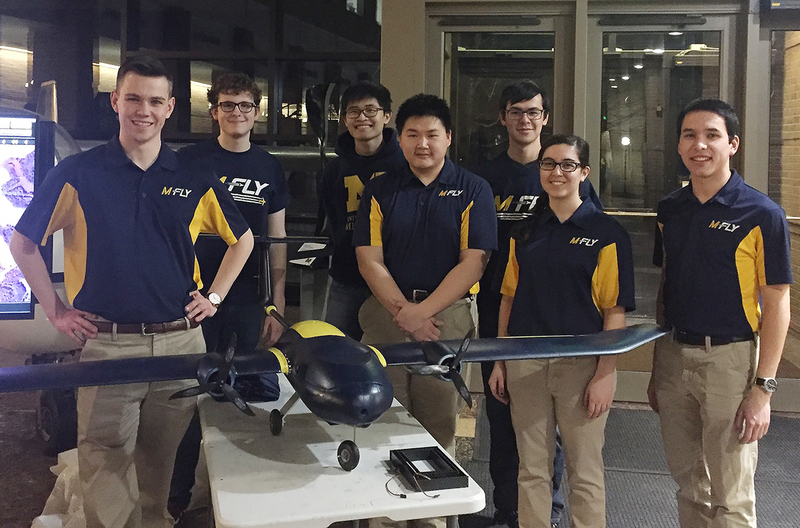 The M-Fly student aircraft design team provides undergraduates the opportunity to design, build, present, and test real-world aerospace projects. This year was extremely productive, with the team building more planes than ever, including its first autonomous craft. Two of this year’s aircraft were entered in the 2018 SAE Aero Design East competition, marking the team’s tenth appearance at the event. Both of the projects placed in the top 10 for their respective categories: the team’s regular class M-10 placed 8th overall, including 2nd place in the design report; the team’s advanced class MX-3 placed 5th overall, including 1st in the design report and 3rd in oral presentation. Both the regular class and the advanced class entries were challenged to lift the heaviest payload possible, scored on weight, while the advanced class was also required to drop a payload onto a target. The addition of an autonomous plane to the lineup had team members tackling brand new problems in aircraft design, programming, and communications. 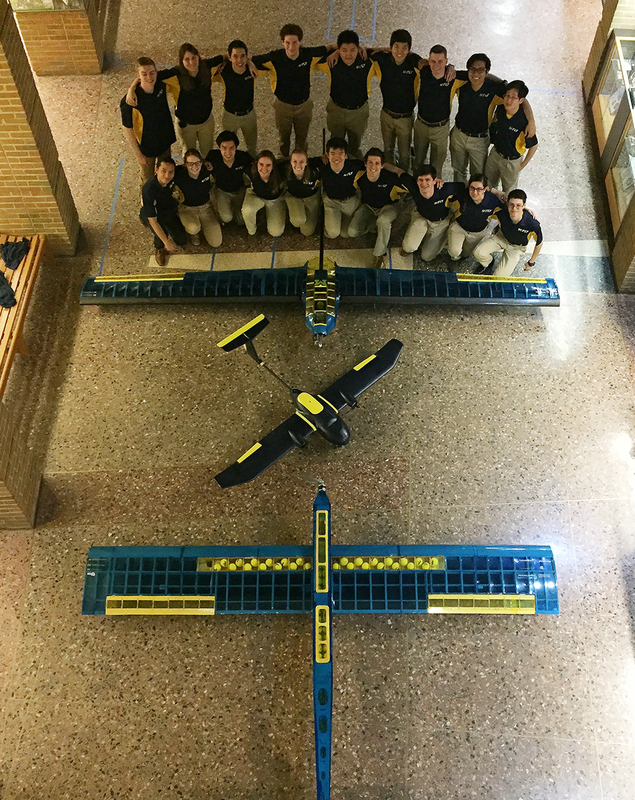 While the plane didn’t end up entering in competition its first year, students made a great deal of progress toward getting the new model ready for the Student Unmanned Aerial System (SUAS) competition. “As this was M-Fly's first year working with an autonomous aircraft we had no conventions or prior wisdom to guide our design,” says computer science student and software team lead Justin Fu. To succeed, the team had to research, implement, and test an algorithm that could plan a path for the airplane while also avoiding obstacles. They also had to solve the problem of predicting the future position of moving obstacles and determine how to identify important objects from images taken of the ground. Since the competition flight area allows the plane to travel 1 km from the ground station, the hardware team designed a communications system to maximize transmission range and made an antenna tracker for the ground station to ensure good signal strength. Introducing autonomy as a recurring design challenge presents a great opportunity for more EECS students to take an interest in M-Fly, and vice versa.